If you’re going to go big, you might as well go for beautiful and brash, too. 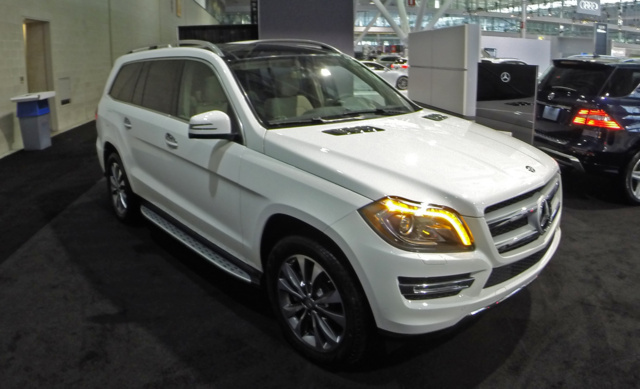 The 2015 Mercedes-Benz GL-Class full-size luxury SUV certainly offers all that, plus 7-passenger seating in 3 rows, 93.8 cubic feet of cargo space with the rear seatbacks folded, standard full-time all-wheel drive (4MATIC AWD) and a choice of turbodiesel or twin-turbo gasoline-burning powerplants. Anyhow, the 2015 GL63 AMG’s outsized turbo V8 uses a 7-speed shiftable automatic transmission to pound out 550 hp and 560 lb-ft of torque, good enough to tow some 7,500 pounds of trailer with the proper equipment. Mileage figures are estimated at 13 mpg city/17 highway. Powering down a little, the GLK350 BlueTEC sports a 3.0-liter turbodiesel V6 engine that puts out 240 hp and 455 lb-ft of torque under the management of the ubiquitous 7-speed shiftable automatic, with mileage figures estimated at a pretty decent 19/26. Meanwhile, both the GL450 and the GL550 tote a twin-turbocharged 4.7-liter V8 that throws down 362 hp and 406 lb-ft of torque, again under the auspices of the 7-speed shiftable automatic. Mileage in this penultimate V8 is estimated at 14/19. Once again, standard goodies, inside and out, include alloy wheels, a power sunroof, power liftgate, roof rack, leatherette (premium vinyl) upholstery, heated power-adjustable front seats, full power accessories including reverse-tilt heated exterior power mirrors and a power-folding third-row seat. Of course, adaptive cruise control is standard once again, as are telescoping tilt-wheel steering, a remote garage door opener, rear-view camera and dual-zone auto climate control. 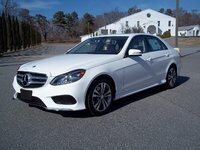 Standard techno-bling begins with M-B’s basic mbrace2 directions and connections via Bluetooth hands-free technology and a single-CD player with video monitor, a memory-card slot and Bluetooth music streaming, all of which are interfaced with Mercedes’ 7-inch COMMAND infotainment touchscreen. The GL550 adds to that standard leather upholstery, heated and cooled front cupholders, memory settings for 3 drivers, voice-activated GPS navigation, massaging front seats and a 14-speaker, 830-watt Harman Kardon premium Surround Sound stereo boasting a 6-CD changer and satellite radio. Topping it all off is the 2015 GL63 AMG, delivered with the above-mentioned sport-tuned suspension boasting adaptive stabilizer bars, along with 21-inch forged alloy wheels, some heady interior and exterior styling cues, and an even further upgraded Bang & Olufsen audio system, again with 14 speakers and Surround Sound. Optional equipment in lower GL trims includes most features found standard in higher trims, while stuff like a Class III trailer hitch, upgraded cabin accent materials, power sliding and heated second-row seats, rear-seat DVD entertainment and a split-view dashboard display that shows individualized information to the driver and front passenger return as options in all trims. The GL450 and 550, meantime, remain eligible for an available On-/Off-Road package that flaunts a beefed-up suspension, 6-mode terrain selector and front skid plates for those pampered trips into the hinterlands. And don’t forget that newly available Black Crystal package mentioned above. Finally, the usual mandated safety equipment adorns the 2015 GL-Class, including 4-wheel antilock braking (ABS), traction and stability control, front side-mounted airbags and 3-row head airbags. Additionally, all trims boast daytime running lights, front fog/driving lights, turn-signal-integrated mirrors, mbrace2 emergency assistance and notifications, high-intensity-discharge (HID) headlights, pre- and post-collision safety systems and Attention Assist driver alerts when it’s time to take a break. Depending on the trim selected, lane-keeping assistance and forward-collision alerts are either standard or optional and come in 2 forms—passive alerts via driver’s-seat vibration and warning chimes or, with an optional upgrade to the Driver Assistance package, forward-collision mitigation. Oh, and a remote antitheft alarm is also standard across the lineup, while Night Vision Assistance and PARKTRONIC parking assist with around-view camera placements remain optional. What's your take on the 2015 Mercedes-Benz GL-Class? Users ranked 2015 Mercedes-Benz GL-Class against other cars which they drove/owned. Each ranking was based on 9 categories. Here is the summary of top rankings. 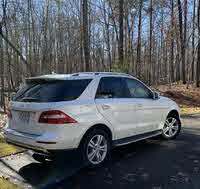 Have you driven a 2015 Mercedes-Benz GL-Class? Where is the battery located on my 2015 Mercedes Benz GL 63 AMG? 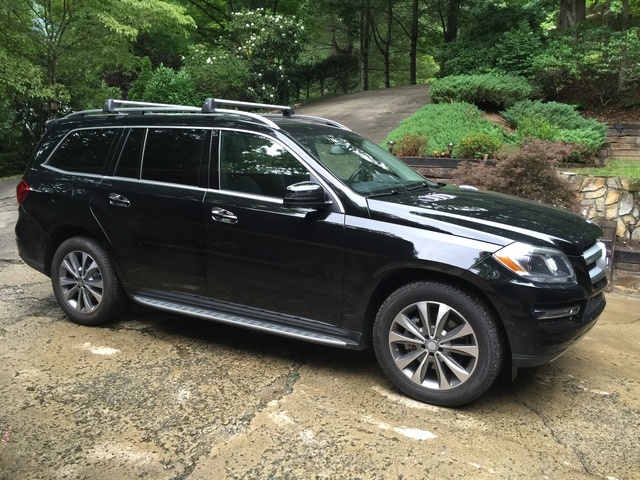 2015 Mercedes Benz GL550 fully loaded 9974k.